Our friends, Chris and Sherry Waye, arrived this month, have set up their house, and will be starting language school in the next few days. Pray for the long road ahead for them as they work to master the Thai language and learn to communicate the Gospel in this needy land. We have seen fruit from our efforts this last month. A few weeks ago, after preaching the Sunday morning service at our church, a young lady took the step of faith to leave Buddhism and trust in Christ and has continued to grow since. Pray for her and others on their journey to faith in Christ. We have had other opportunities to teach as well. 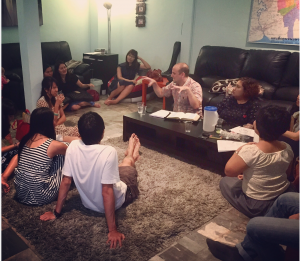 We had a Bible study in our home this month and had a good turn out. 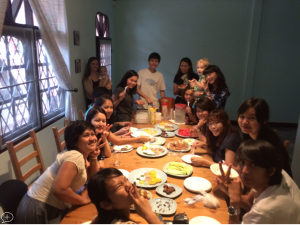 I am also teaching the young people regularly at the church now and enjoying being able to teach and discuss in Thai. 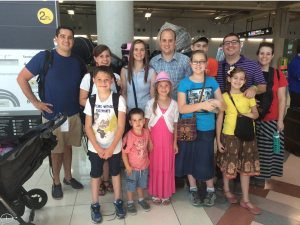 Pray for friends of ours that will be going with us to camp this week. We have been working with them and praying for them for several months and asking the Lord to use this time away to open their eyes to the Gospel like never before. We have our visa renewal coming up soon. We have now been in-country for 2 years and are thankful for all the Lord has allowed us to accomplish here so far, and looking forward to the future with great anticipation. Summer church camp the next few days.